Fritz Haber (German: [ˈhaːbɐ]; 9 December 1868 – 29 January 1934) was a German chemist who received the Nobel Prize in Chemistry in 1918 for his invention of the Haber–Bosch process, a method used in industry to synthesize ammonia from nitrogen gas and hydrogen gas. This invention is of importance for the large-scale synthesis of fertilizers and explosives. The food production for half the world's current population involves this method for producing nitrogen fertilizers. Haber, along with Max Born, proposed the Born–Haber cycle as a method for evaluating the lattice energy of an ionic solid. Haber is also considered the "father of chemical warfare" for his years of pioneering work developing and weaponizing chlorine and other poisonous gases during World War I, especially his actions during the Second Battle of Ypres. During his time at University of Karlsruhe from 1894 to 1911, Haber and his assistant Robert Le Rossignol invented the Haber–Bosch process, which is the catalytic formation of ammonia from hydrogen and atmospheric nitrogen under conditions of high temperature and pressure. This discovery was a direct consequence of Le Châtelier's principle, announced in 1884, which states that when a system is in equilibrium and one of the factors affecting it is changed, the system will respond by minimizing the effect of the change. Since it was known how to decompose ammonia on nickel based catalyst, one could derive from Le Châtelier's principle that the reaction could be reversed to produce ammonia at high temperature and pressure (a process that Henry Louis Le Châtelier had even tried himself but gave up after his technician almost killed himself, due to an oxygen intake related explosion). To further develop the process for large-scale ammonia production, Haber turned to industry. Teaming with Carl Bosch at BASF, the process was successfully scaled-up to produce commercial quantities of ammonia. The Haber–Bosch process was a milestone in industrial chemistry. The production of nitrogen-based products such as fertilizer and chemical feedstocks, previously dependent on acquisition of ammonia from limited natural deposits, now became possible using an easily available, abundant base — atmospheric nitrogen. The ability to produce much larger quantities of nitrogen-based fertilizers in turn supported much greater agricultural yields and prevented billions of people from starving to death. The discovery of a new way of producing ammonia had other significant economic impacts as well. Chile had been a major (and almost unique) producer of natural deposits such as sodium nitrate (caliche). After the introduction of the Haber process, naturally extracted nitrate production in Chile fell from 2.5 million tons (employing 60,000 workers and selling at US$45/ton) in 1925 to just 800,000 tons, produced by 14,133 workers, and selling at $19/ton in 1934. The annual world production of synthetic nitrogen fertilizer is currently more than 100 million tons. The food base of half of the current world population is based on the Haber–Bosch process. Haber was awarded the 1918 Nobel Prize in Chemistry for this work (he actually received the award in 1919). Haber was also active in the research on combustion reactions, the separation of gold from sea water, adsorption effects, electrochemistry, and free radical research (see Fenton's reagent). A large part of his work from 1911 to 1933 was done at the Kaiser Wilhelm Institute for Physical Chemistry and Electrochemistry at Berlin-Dahlem. In 1953, this institute was renamed for him. He is sometimes credited, incorrectly, with first synthesizing MDMA (which was first synthesized by Merck KGaA chemist Anton Köllisch in 1912). Haber greeted World War I with enthusiasm, joining 92 other German intellectuals in signing the Manifesto of the Ninety-Three in October 1914. Haber played a major role in the development of the non-ballistic use of chemical warfare in World War I, in spite of the proscription of their use in shells by the Hague Convention of 1907 (to which Germany was a signatory). He was promoted to the rank of captain and made head of the Chemistry Section in the Ministry of War soon after the war began. :133 In addition to leading the teams developing chlorine gas and other deadly gases for use in trench warfare, Haber was on hand personally when it was first released by the German military at the Second Battle of Ypres (22 April to 25 May 1915) in Belgium. :138 Haber also helped to develop gas masks with adsorbent filters which could protect against such weapons. A special troop was formed for gas warfare (Pioneer Regiments 35 and 36), under the command of Otto Peterson, with Haber and Friedrich Kerschbaum as advisors. Haber actively recruited physicists, chemists, and other scientists to be transferred to the unit. Future Nobel laureates James Franck, Gustav Hertz, and Otto Hahn served as gas troops in Haber's unit. :136–138 In 1914 and 1915, before the Second Battle of Ypres, Haber's unit investigated reports that the French had deployed Turpenite, a supposed chemical weapon, against German soldiers. Gas warfare in World War I was, in a sense, the war of the chemists, with Haber pitted against French Nobel laureate chemist Victor Grignard. Regarding war and peace, Haber once said, "During peace time a scientist belongs to the World, but during war time he belongs to his country." This was an example of the ethical dilemmas facing chemists at that time. Haber was a patriotic German who was proud of his service during World War I, for which he was decorated. He was even given the rank of captain by the Kaiser, which Haber had been denied 25 years earlier during his compulsory military service. Haber defended gas warfare against accusations that it was inhumane, saying that death was death, by whatever means it was inflicted. During the 1920s, scientists working at his institute developed the cyanide gas formulation Zyklon A, which was used as an insecticide, especially as a fumigant in grain stores. Hermann Haber lived in France until 1941, but was unable to obtain French citizenship. When Germany invaded France during World War II, Hermann and his wife and three daughters escaped internment on a French ship travelling from Marseilles to the Caribbean. From there, they obtained visas allowing them to emigrate to the United States. Hermann's wife Margarethe died after the end of the war, and Hermann committed suicide in 1946.:182–183 His oldest daughter, Claire, committed suicide in 1949; also a chemist, she had been told her research into an antidote for the effects of chlorine gas was being set aside, as work on the atomic bomb was taking precedence. Fritz Haber's other son, Ludwig Fritz Haber (1921–2004), became an eminent British economist and wrote a history of chemical warfare in World War I,The Poisonous Cloud (1986). His daughter, Eva, lived in Kenya for many years, returning to England in the 1950s. She died in 2015, leaving three children, five grandchildren and eight great-grandchildren. In the meantime, some of the scientists who had been Haber's counterparts and competitors in England during World War I now helped him and others to leave Germany. Brigadier Harold Hartley, Sir William Jackson Pope and Frederick G. Donnan arranged for Haber to be officially invited to Cambridge, England. :287–288 There, with his assistant Joseph Joshua Weiss, Haber lived and worked for a few months. :288 Scientists such as Ernest Rutherford were less forgiving of Haber's involvement in poison gas warfare: Rutherford pointedly refused to shake hands with him. Following Haber's wishes, Haber and Clara's son Hermann arranged for Haber to be cremated and buried in Basel's Hörnli Cemetery on 29 September 1934, and for Clara's remains to be removed from Dahlem and re-interred with him on 27 January 1937 (see picture). In 1981, the Minerva foundation of the Max Planck Society and the Hebrew University of Jerusalem (HUJI) established the Fritz Haber Research Center for Molecular Dynamics, based at the Institute of Chemistry of the Hebrew University. Its purpose is the promotion of Israeli-German scientific collaboration in the field of Molecular Dynamics. The Center's library is also called Fritz Haber Library, but it is not immediately clear if there is any connection to the 1936 homonymous library of the Sieff (now Weizmann) Institute. The institute closest associated with his work, the former Kaiser Wilhelm Institute for Physical Chemistry and Electrochemistry at Dahlem (a suburb of Berlin), was renamed Fritz Haber Institute in 1953 and is part of the Max Planck Society. Haber received much criticism for his involvement in the development of chemical weapons in pre-World War II Germany, both from contemporaries and from modern-day scientists. The research results show the ambivalence of his scientific activity: on the one hand, development of ammonia synthesis for the manufacture of explosives and of a technical process for the industrial manufacture and use of poison gas in warfare; but on the other hand, development of a Nobel-worthy industrial process without which the food supply for today's world population might be greatly diminished. A fictional description of Haber's life, and in particular his longtime relationship with Albert Einstein, appears in Vern Thiessen's 2003 play Einstein's Gift. Thiessen describes Haber as a tragic figure who strives unsuccessfully throughout his life to evade both his Jewish ancestry and the moral implications of his scientific contributions. Bread from the Air, Gold from the Sea as another chemical story (R4, 1415, 16 Feb 01). Fritz Haber found a way of making nitrogen compounds from the air. They have two main uses: fertilizers and explosives. His process enabled Germany to produce vast quantities of armaments. (The second part of the title refers to a process for obtaining gold from sea water. It worked, but didn't pay.) There can be few figures with a more interesting life than Haber, from a biographer's point of view. He made German agriculture independent of Chilean saltpetre during the Great War. He received the Nobel Prize for Chemistry, yet there were moves to strip him of the award because of his work on gas warfare. He pointed out, rightly, that most of Nobel's money had come from armaments and the pursuit of war. After Hitler's rise to power, the government forced Haber to resign from his professorship and research jobs because he was Jewish. The second play was titled The Greater Good and was first broadcast on 23 October 2008. It was directed by Celia de Wolff and written by Justin Hopper, and starred Anton Lesser as Haber. It explored his work on chemical warfare during World War I and the strain it put on his wife Clara (Lesley Sharp), concluding with her suicide and its cover-up by the authorities. Other cast included Dan Starkey as Haber's research associate Otto Sackur, Stephen Critchlow as Colonel Peterson, Conor Tottenham as Haber's son Hermann, Malcolm Tierney as General Falkenhayn and Janice Acquah as Zinaide. In 2008, a short film titled Haber depicted Fritz Haber's decision to embark on the gas warfare program and his relationship with his wife. The film was written and directed by Daniel Ragussis. In November 2008, Haber was again played by Anton Lesser in Einstein and Eddington. In December 2013, Haber was the subject of a BBC World Service radio programme: "Why has one of the world's most important scientists been forgotten?". His and his wife's life, including their relationship with the Einsteins, and Haber's wife's suicide, are featured prominently in the novel A Reunion of Ghosts by Judith Claire Mitchell. The characters are named Lenz and Iris Alter. Haber's life and relationship to Albert Einstein was portrayed in Genius which aired on National Geographic Channel from 25 April to 27 June 2017. ^ "Fritz Haber – Biographical". Nobelprize.org. ^ "Fritz Haber: Jewish chemist whose work led to Zyklon B". BBC.com. ^ "Fritz Haber | Biography & Facts". Encyclopedia Britannica. Retrieved 19 March 2018. ^ a b c d e f g Morris Goran, The Story of Fritz Haber, Norman: Univ. of Oklahoma Press, 1967. ^ a b c d e f g h i j k l m n o p q r s t u v w x y z aa ab ac ad ae af ag ah ai aj ak al am an ao ap aq ar as at au av aw ax ay az ba bb bc bd be bf bg Stoltzenberg, Dietrich (2004). Fritz Haber : Chemist, Nobel laureate, German, Jew. Philadelphia: Chemical Heritage Foundation. ISBN 978-0-941901-24-6. ^ Charles, Daniel (2005). Master mind : the rise and fall of Fritz Haber, the Nobel laureate who launched the age of chemical warfare (1. ed.). New York, NY: Ecco. ISBN 978-0-06-056272-4. Retrieved 8 September 2014. ^ "Ueber einige Derivate des piperonals (cover)". Retrieved 8 September 2014. ^ a b "Fritz Haber – Biographical". Nobelprize.org. Nobel Media AB 2014. Retrieved 8 September 2014. ^ a b c Hager, T. (2008) The Alchemy of Air. Harmony Books, NY. ^ Technology & economics: Papers commemorating Ralph Landau's service to the National Academy of Engineering. Washington, D.C.: National Academy Press. 1991. p. 110. ISBN 978-0-309-04397-7. ^ a b Albrecht, Jörg (2008) "Brot und Kriege aus der Luft". Frankfurter Allgemeine Sonntagszeitung. p. 77 (Data from "Nature Geosience"). ^ Collier, Simon; Sater, William F. (2004). A history of Chile, 1808–2002 (2nd ed.). Cambridge [England]: Cambridge University Press. ISBN 0521827493. ^ "The Nobel Prize in Chemistry 1918". Nobelprize.org. Nobel Media AB 2014. Retrieved 8 September 2014. 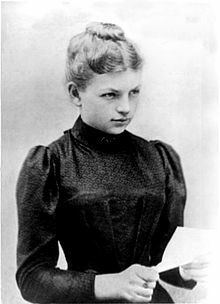 ^ "...MDMA was actually first synthesized by Fritz Haber in 1892…". Ask Erowid. ^ Benzenhöfer, U; Passie, T (2006). "The early history of "Ecstasy"" (PDF). Der Nervenarzt. 77 (1): 95–6, 98–9. doi:10.1007/s00115-005-2001-y. PMID 16397805. ^ Grundmann, Siegfried (2005). The Einstein Dossiers. Berlin: Springer. ^ Gross, Daniel A. (Spring 2015). "Chemical Warfare: From the European Battlefield to the American Laboratory". Distillations. 1 (1): 16–23. Retrieved 20 March 2018. ^ Richter, Donald C. Chemical Soldiers: British Gas Warfare in World War I. University Press of Kansas: 1992. Page 6. ^ Novak, Igor (2011). "Science and History". Science : a many-splendored thing. Singapore: World Scientific. pp. 247–316. doi:10.1142/9789814304757_0004. ISBN 978-9814304740. ^ Coffey, Patrick (29 August 2008). Cathedrals of Science: The Personalities and Rivalries That Made Modern Chemistry. Oxford University Press. pp. 102–. ISBN 978-0-19-971746-0. ^ Gad, Shayne C.; Kaplan, Harold L. (2 October 1990). Combustion Toxicology. CRC Press. pp. 99–. ISBN 978-1-4398-0532-9. ^ Salem, Harry; Katz, Sidney A. (2014). Inhalation Toxicology, Third Edition. CRC Press. pp. 130–. ISBN 978-1-4665-5273-9. ^ Szöllösi-Janze, M. (2001). "Pesticides and war: the case of Fritz Haber". European Review. 9 (1): 97–108. doi:10.1017/S1062798701000096. ^ a b Creese, Mary R. S. Creese; Creese, Thomas M. (2004). Ladies in the Laboratory II: West European women in science, 1800 – 1900 : a survey of their contributions to research. Lanham, Md. : Scarecrow Press. pp. 143–145. ISBN 978-0810849792. ^ a b Friedrich, Bretislav; Hoffmann, Dieter (March 2016). "Clara Haber, nee Immerwahr (1870-1915): Life, Work and Legacy". Zeitschrift für Anorganische und Allgemeine Chemie. 642 (6): 437–448. doi:10.1002/zaac.201600035. PMC 4825402. PMID 27099403. ^ a b Carty, Ryan (2012). "Casualty of War". Chemical Heritage Magazine. 30 (2). Retrieved 22 March 2018. ^ Albarelli, H.P. (2009). A terrible mistake : the murder of Frank Olson, and the CIA's secret cold war experiments (1st ed.). Walterville, OR: Trine Day. ISBN 978-0-9777953-7-6. Retrieved 9 September 2014. ^ Huxtable, R. J. (2002). "Reflections: Fritz Haber and the ambiguity of ethics" (PDF). Proceedings Western Pharmacology Soc. 45: 1–3. Retrieved 2 April 2014. ^ Stern, Fritz; Charles, Daniel; Nasser, Latif; Kaufman, Fred (9 January 2012). "How Do You Solve a Problem Like Fritz Haber?". Radiolab (Interview). Interviewed by Jad Abumrad, Robert Krulwich. New York, NY: WNYC. Retrieved 2 April 2014. ^ Clapp, Susannah (5 June 2016). "The Forbidden Zone review – poisoned by a 'higher form of killing'". the Guardian. Retrieved 15 September 2018. ^ "Lutz F. Haber (1921–2004)" (PDF). University of Illinois at Urbana-Champaign. ^ A photograph of their gravestone in Hörnli Cemetery, Basel can also be found in the book written by Stoltzenberg. ^ "Book of Members, 1780–2010: Chapter B" (PDF). American Academy of Arts and Sciences. Retrieved 16 September 2014. ^ Colby, Frank (1919). The New International Year Book: A Compendium of the World's Progress for the year 1918. New York: Dodd, Mead and Company. p. 125. ^ a b Wisniak, Jaime (2002). "Fritz Haber – A Conflict Chemist" (PDF). Indian Journal of History of Science. 37 (2): 153–173. Archived from the original (PDF) on 17 October 2014. Retrieved 16 September 2014. ^ Fegley, Bruce; Osborne, Rose (2008). Practical chemical thermodynamics for geoscientists. New York: Academic Press. p. 43. ISBN 978-0122511004. ^ Report of the National Academy of Sciences. Washington: U.S. Govt. Print. Off. 1935. p. 11. ^ "Fritz Haber". National Academy of Sciences. Retrieved 16 September 2014. ^ a b Shapin, Steven (26 January 2006). "Tod aus Luft". London Review of Books. 28 (2): 7–8. Retrieved 18 April 2017. ^ Charles, Daniel (2006). Between genius and genocide : the tragedy of Fritz Haber, father of chemical warfare. London: Pimlico. ISBN 978-1844130924. ^ Everts, Sarah (2015). "A Brief History of Chemical War". Distillations. 1 (1): 26–32. Retrieved 22 March 2018. ^ Saltzman, Simon (19 October 2005). "Broadway Review: `Einstein's Gift'". U.S. 1 Newspaper. Retrieved 18 April 2017. ^ "Bread from the Air, Gold from the Sea". Archives of Anthony Phillips (who composed the music). Archived from the original on 2 February 2009. ^ "Afternoon Play, The Greater Good". BBC. ^ "The Greater Good". Justin Hopper – Writer and Script Consultant. Archived from the original on 19 April 2017. Retrieved 18 April 2017. ^ Meyer, Michal (Spring 2010). "Feeding a War (Interview with Daniel Ragussis)". Chemical Heritage Magazine. 28 (1): 40–41. Retrieved 20 March 2018. ^ "Sloan Science & Film". scienceandfilm.org. Retrieved 30 August 2016. ^ "The Bad Show". Radiolab. 2012. Retrieved 12 January 2012. ^ Williams, Mike (27 December 2013). "Nitrogen: Forgetting Fritz". BBC World News. Retrieved 16 September 2014. ^ Benjamin, Chloe (30 March 2015). "The Project is Nothing, The Process is Everything: An Interview with Judith Claire Mitchell". Fiction Writers Review. Retrieved 18 April 2017. ^ "Scientists at war". National Geographic. June 2017. Retrieved 12 July 2017. Bernstein, Barton J. (1987). "Birth of the U.S. biological warfare program". Scientific American. 256 (6): 116–121. Bibcode:1987SciAm.256f.116B. doi:10.1038/scientificamerican0687-116. Geissler, Erhard: Biologische Waffen, nicht in Hitlers Arsenalen. Biologische und Toxin-Kampfmittel in Deutschland von 1915–1945. LIT-Verlag, Berlin-Hamburg-Münster, 2nd ed., 1999. ISBN 3-8258-2955-3. Geissler, Erhard: "Biological warfare activities in Germany 1923–1945". In: Geissler, Erhard and Moon, John Ellis van Courtland, eds., Biological warfare from the Middle Ages to 1945. New York: Oxford University Press, 1999, ISBN 0-19-829579-0. Hager, Thomas: The Alchemy of Air: A Jewish Genius, a Doomed Tycoon, and the Scientific Discovery That Fed the World but Fueled the Rise of Hitler (2008) ISBN 978-0-307-35178-4. Maddrell, Paul: Spying on Science: Western Intelligence in Divided Germany 1945–1961. Oxford University Press, 2006, ISBN 0-19-926750-2. Smil, Vaclav (2004). Enriching the Earth: Fritz Haber, Carl Bosch, and the Transformation of World Food Production. MIT Press. ISBN 978-0-262-69313-4. Stoltzenberg, Dietrich: Fritz Haber: Chemist, Nobel Laureate, German, Jew: A Biography (Chemical Heritage Foundation, 2005), ISBN 0-941901-24-6. Wikimedia Commons has media related to Fritz Haber. "Fritz Haber". NNDB tracking the entire world. Retrieved 8 September 2014.